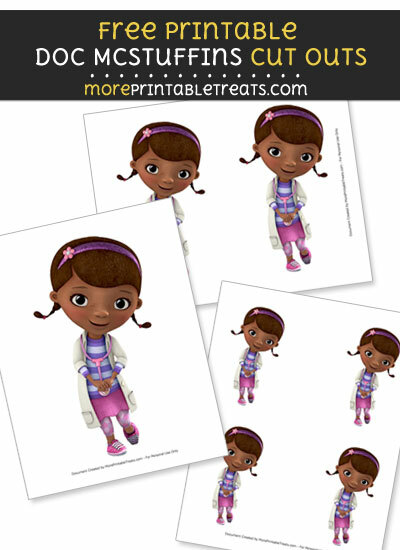 Download this super cute shy Doc McStuffins printable cut out that you can use for your Doc Mcstuffins themed party or classroom decorations or whatever you like! In this download you’ll receive one PDF file of three pages – all featuring Dottie McStuffins standing and smiling in a shy pose. A page with one large Dottie McStuffins image. A page with two medium-sized Doc McStuffins clip art.